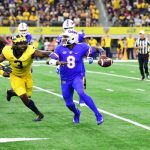 Against Georgia, it was redshirt freshman quarterback Feleipe Franks‘ interception on the second offensive series with 10:33 left in the first quarter. In the Missouri game, it was the five-play, 69-yard touchdown drive when the hosts took a 21-3 lead on Florida with 5:39 left in the second quarter. It was no less blatantly obvious on Saturday. After moving the ball 18 yards on nine plays over two series and allowing the South Carolina Gamecocks to rattle off a 74-yard touchdown drive in between, Florida had great field position with South Carolina backed up near its end zone. Freshman cornerback C.J. Henderson was set to give the Gators an incredible scoring opportunity with a well-timed interception and tremendous return … only to fumble at the 2-yard line. The Gamecocks, rather than commit a turnover, gained 20 yards on the play. The deficit remained a single score after South Carolina punted, but you knew that blown chance sealed the deal for Florida. If you were somehow unconvinced, redshirt senior Brandon Powell muffing the ensuing punt should have made you a believer. And if you were somehow still hopeful the Gators would win, a 46-yard interception return by sophomore safety Chauncey Gardner on the very next play was your proof … until UF went -3 yards on three plays and wasted an opportunity at midfield. South Carolina responded with another 75-yard touchdown drive to go up 14-0. All of this is to say what is obvious: Florida cannot get out of its own way — on or off the field. The Gators’, off to their worst start since their winless 1979 season, were less inept and more engaged on Saturday compared to a week earlier, though it would have been difficult to match that level of complacency and have any respect for yourself as an athlete or coach. To Florida’s credit, though it was behind most of the game, it never stopped fighting. The defense even made a late stand to give the offense a chance. But you didn’t have to watch the contest to know how that scenario turned out. Redshirt senior quarterback Malik Zaire was once again ineffective. He left the game with a lower-leg injury only to return one play later … only to crumble in a heap while rolling out of the pocket leading viewers wondering why he returned in the first place. Redshirt freshman Feleipe Franks was 10-of-25 passing with an interception, though he once again showed some few-and-far-between flashes that leads one to believe there may be some talent under the surface that could one day be tapped by the right coach. More than anything else, Saturday again proved the depths to which the Gators’ defense has reached. Florida gave up 469 yards to South Carolina. Not nice. It is now coughing up nearly 383 yards per game, which is just nine total yards (for the season) shy of the program-worst 384 yards per game it gave up in 1971. 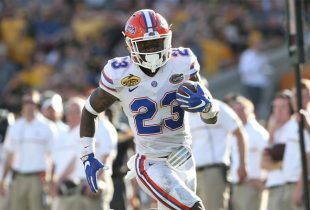 The Gators are also allowing 28.3 points per game, the worst average since 1946, and came off consecutive weeks in which they allowed teams to score 42+ points against them for the first time since 1917. There are both reasons and excuses for Florida’s performance to this point. You can determine which fall into one category or the other. By the time the Gators pulled Zaire and redshirt sophomore starting center T.J. McCoy out of the game, Florida was officially down 25 of its 85 scholarship players in the contest. That includes nine indefinite suspensions (two starters), eight players out for the season (six starters) and eight players missing before or injured during the contest. In other terms, 30 percent of its scholarship players and 10 full-time or occasional starters were not available for UF. 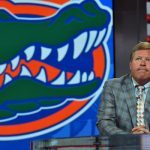 Former head coach Jim McElwain was not a strong recruiter, and he spent so much time and effort concentrating on offense — to his credit, the Gators did add a bevy of playmakers, many of them underrated, and needed a ton of offensive linemen — that Florida was ill prepared to replace the incredible defenders recruited by Will Muschamp who left either for the NFL Draft or due to graduation. Interim coach Randy Shannon has done poor job identifying players in the defensive front seven, and if not for a stellar freshman class of defensive backs — many of whom have been forced into starting this season — the Gators would be in even worse shape than they are now. Defensive recruiting has been a massive issue for Florida over the last few years, and that statement alone is mind-boggling when you consider that UF has prided itself on top-tier units for decades. Couple all of that with significant coaching turnover, a special teams unit that is one of the worst in the nation and coordinators who should not be in their current jobs with the Gators, and you have a team that has been behind the sticks nearly the entire season. Florida has been so worried about replicating offenses of Steve Spurrier and Urban Meyer that it forgot the old tenant that “defense wins championships.” It may be an eye-roller of a statement, but it doesn’t make it any less true. The Gators are worse in 2017 than they were in the 4-8 season of 2013. Both teams were severely injured. Both teams completely lost their way and were in a downward spiral at year’s end. But that 2013 team had Caleb Brantley, Jonathan Bullard, Bryan Cox, Jordan Sherit, Antonio Morrison, Alex Anzalone, Jarrad Davis, Vernon Hargreaves III, Brian Poole, Marcus Maye, Nick Washington and Keanu Neal as underclassmen on the defensive side of the ball. All of those players are either in the NFL or headed there next season. Florida today needs an injection of talent unlike any Gators squad we have seen in decades. UF is without a coach, facing the first-ever early signing period in five weeks and watching as Miami is surging back as a college football power. It should not be begging for the ball to bounce its way in order to have a chance to beat South Carolina. Good article. Fair. So was yesterday’s pregame article. Having over 25% of your scholarship athletes unavailable is a legitimate problem. This team is poorly coached but I was actually OK with our effort yesterday. Respectable as opposed to the Mizzou loss. 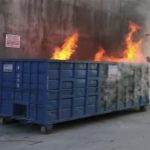 I DO NOT think this team is worse than the 4-8 team that lost to Georgia Southern. I also agree that Franks shows flashes, but I have a big problem with something he’s been doing all season. 2nd and 17, Franks breaks out of the pocket and makes a nice run but with only 2 yards to go for a first down, our 6’5″ 230 lbs. moose of a QB slides like a little ballerina rather than take on smaller DB’s to pick up the first down. WTH is that? You knew the minute he went into that slide like a big wuss that we weren’t going to pick up the 3rd and 2 and, of course, we didn’t. Note to Felipe: you are on a TACKLE football scholarship. You are NOT Aaron Rodgers yet and, even if you were, Aaron Rodgers DOES NOT slide in that situation. Come on kid, we need you to be tougher and smarter than that. No one should be satisfied with Florida’s effort. Sad. McDramaQueen left this team in shambles. Three years with that fraud did as much damage as the Pell sanctions in the 80s. He may go down as of the biggest frauds in SEC history.